Sold & dispatched by Dr Greens. 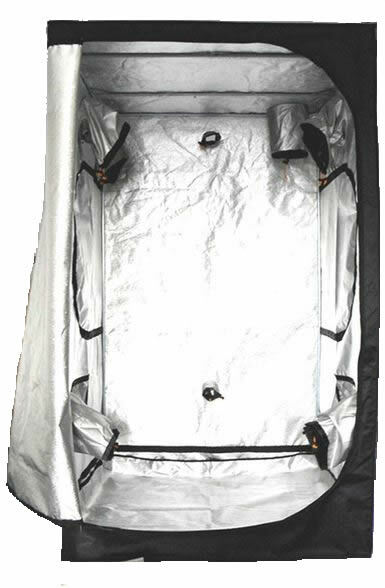 Dr Greens 1.5m Grow Tent is made to the highest standards, featuring 95% reflective mylar, heavy duty steel framework and reinforced plastic corners. Included with the tent are hanging tubes for lights, carbon filters, fans etc... and a removable waterproof drip-sheet. This model has 2 x 203mm intake ports and 1 x 254mm exhaust port.